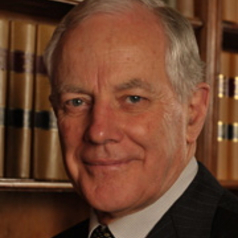 David Harper retired in 2013 from the Bench of the Court of Appeal of the Supreme Court of Victoria and took up the position of the University of Melbourne Law School's Judge in Residence for the second semester of 2014. He trained in law and was appointed a Judge of the Supreme Court of Victoria in 1992. He was appointed President of the Victorian Association for the Care and Resettlement of Offenders in 1995. He was President of the Victorian Chapter of the International Commission of Jurists (1992-1999) and Chairman of the Victorian Bar Council (1990-1991). He served as Chair of the Victorian International Humanitarian Law Advisory Committee of the Red Cross from 2000.